Last night, I ventured in Iceland on Google map and discovered Svartifoss, which is a beautiful waterfall located at the Vatnajökull National Park in Iceland. 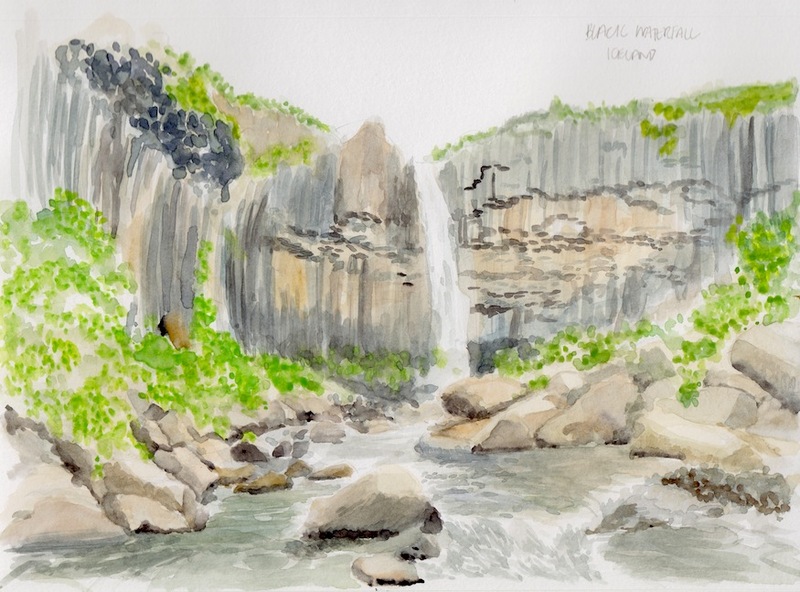 The falls are surrounded by tall basal honeycomb shaped colums of dark lava. Their straight edges make them look like they were man-made. Apparently they tend to break off faster then it would take for the water to smooth out the edges. As a result, there also tends to be quite a few straight edge rock at the bottom. This is not the only site with this type of rock formation. 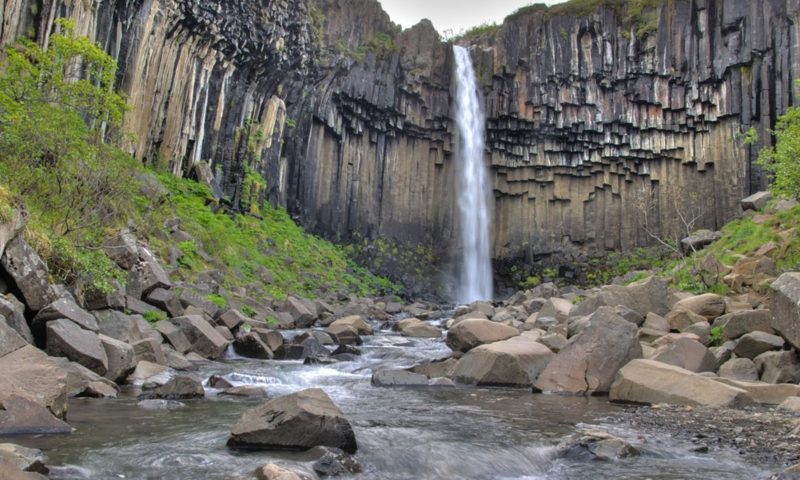 There are a couple other falls in Iceland with the same type of rock formation around it and well as mountains in other locations such as the Giant Causeway in Northern Ireland, at the Devil's Tower in the United States, and at the island of Staffa in Scotland.